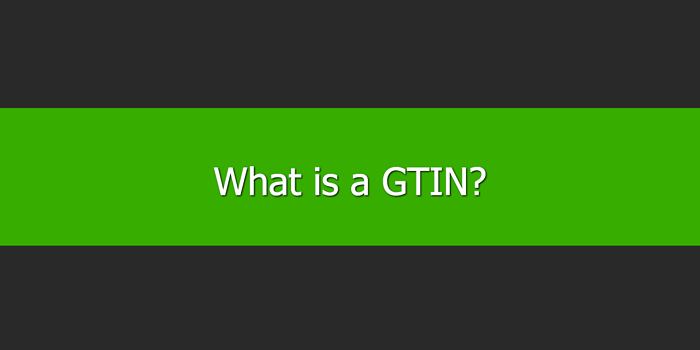 GTIN, or a Global Trade Item Number, is an internationally recognized system for identifying products. It brought together several systems to ensure they all adhere to a common structure. Helping both in-store barcode readers and online product databases. The non-profit organization GS1 developed the system. Often, legacy systems must be brought up-to-date to adhere to the new GTIN standards. An example of this is ISBN, the numbering system used to identify books. Some ISBNs had 10 digits but to conform with GTIN standards, these had to be converted to 13 digit numbers. Where GTIN-8, GTIN-12, and GTIN-13 numbers are represented as GTIN-14 (the main data structure), left-justified zeros pad out the number. For example, the GTIN-12 number 012345678905 becomes 00012345678905 in GTIN-14 format. Two additional zeros are added to the left of the number to bring it from 12 characters up to 14. Many comparison shopping engines, including Google and Amazon, use GTINs. They keep large databases containing almost all the GTINs that exist in the world. When you upload a product to one of these platforms through your data feed, the product must have a GTIN. If you don’t include a GTIN or you include the wrong one, the platform is likely to reject the product. While there are some products that don’t have a GTIN, the vast majority do. They help shopping platforms, search engines, manufacturers, and sellers increase conversions and offer a better user experience.